Ten a cappella groups will compete for cash prizes during The Shenandoah Valley Sing-Off, an amateur contest hosted by the Shenandoah Valley Children’s Choir (SVCC). The event is 7 p.m., Saturday, April 8, at Harrisonburg High School. During the evening, the groups will perform an up-tempo song of no more than four minutes. Up to five groups will advance to the ballad round, with the top two contestants advancing to perform a selection of their choosing. The first-place group will receive a $750 prize, and the runner up, $500. The “audience favorite” of the first round will be awarded $250. The contest “promotes artistry, excellence, camaraderie and musical community among singers in Virginia,” said SVCC Artistic Director Janet M. Hostetter. 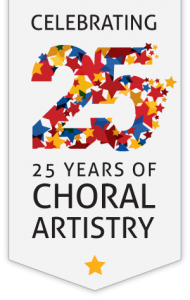 Additionally, it will raise money for scholarships to help children participate in SVCC, a nationally acclaimed choir that provides opportunities for music education, performance, touring and recording. The competition is also a nod to a cappella’s historic legacy, which has been practiced in the Shenandoah Valley since the late 1800s, “thanks to the singing schools and songbook publications produced by Joseph Funk and his sons in Singers Glen,” added Hostetter. Camerati is an all-male chamber ensemble that was founded by James Madison University students in 2016. They perform sacred, gospel and Renaissance a cappella music, with an emphasis on sight reading. Cantore, a men’s group based in the Shenandoah Valley, has performed at over 250 events since they were founded in 1999. The ten members make decisions by consensus, and perform everything from religious choral work, to folk, international, bluegrass, gospel and barbershop music. Desperate Measures is a barbershop quartet from Harrisonburg which performs traditional and modern barbershop and other a cappella works. Their repertoire spans many decades of musical styles. Exit 245, founded in 1998, is a male group from James Madison University. Their repertoire focuses on covering popular tunes. In 2013, they received a Contemporary A Cappella Recording Award for their album Boyfriend Material. The Flying V’s are from the University of Virginia. Their first album is currently in the works, which includes covers of the Rolling Stones, Bruce Springsteen, Nirvana and the Arctic Monkeys. Good Company, a six-member co-ed group based in the Shenandoah Valley, was formed in 2013. They have released two albums, including a Christmas album in December 2016. Harrisonburg Harmonizers is a 25-member male barbershop chorus which formed in 2008. This chapter of the Barbershop Harmony Society performs monthly throughout the Shenandoah Valley. Low Key became James Madison University’s second co-ed a cappella group in 2000. Low Key’s members value their tradition of friendship, family and a passion for music. The Overtones is a co-ed group from James Madison University. The Overtones, founded in 1997, have released seven albums and been featured on multiple “Best of College A Cappella” compilations. Shekinah is an independent female vocal ensemble which formed in 2003 at Eastern Mennonite University. They have released seven albums, and contributed to recordings of the Mennonite hymnal supplements. The Shenandoah Valley Sing-Off is sponsored by Muddy Feet Graphics, with additional sponsors Jon and Mary Ann Alger, Clay Showalter, Cherished Memories Studios and Mast Landscaping. SVCC is a program of Eastern Mennonite University.